This politiko is excited for the future of tourism in Subic and Bataan! 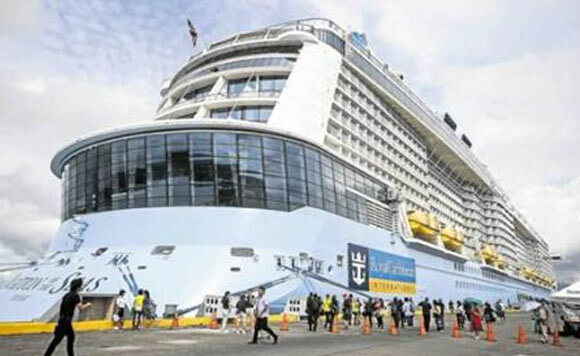 Bataan 1st District Representative Geraldine Roman shared a news article announcing the inclusion of Subic and Bataan among the stops of the Royal Caribbean Cruise. “I hope that our friendly people, rich history, and picturesque colonial-era homes will inspire them to learn more about Bataan and our culture. We have so many things to offer, and we hope that the guests enjoyed their excursions and will come back for more!” said Roman. “Great job to the Chair and Administrator of the Subic Bay Metropolitan Authority, Wilma Eisma, for promoting the beauty of Subic and Bataan! #Bataan #Tourism,” she added.